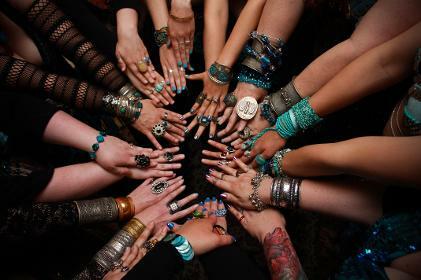 Welcome to Tribal Fusion Belly Dance! 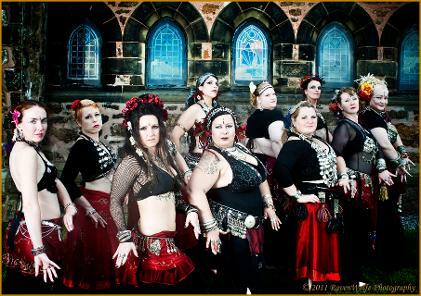 The Eve Tribal Belly Dance Company has been an active tribal fusion belly dance troupe in Central Massachusetts known for their innovation and complex, multi-layered movements since August, 2006. We are an exciting, awesome anthology of supportive women of all shapes, sizes and ages, and we are thrilled to introduce you to our community and our art!! Belly dance is fantastic for your flexibility, balance, grace and strength, and is a fun way get your body moving. You will be amazed at what your body can do! Belly dance promotes a great body image, a sense of serenity, self confidence, balance, harmony and well-being. 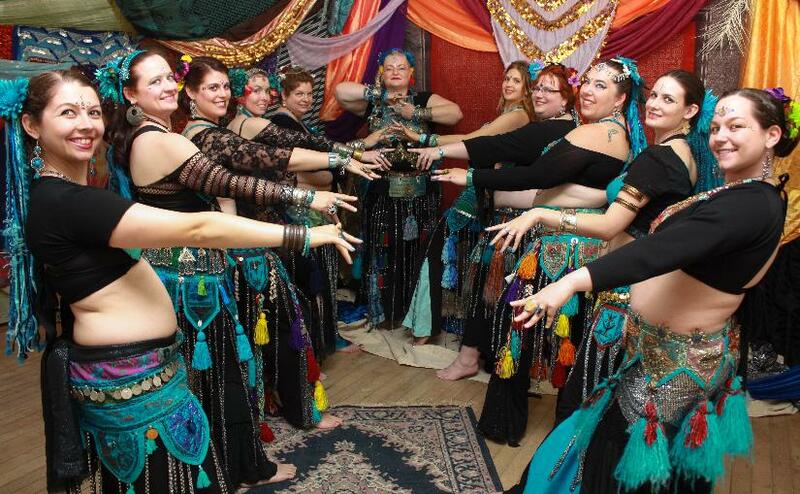 You don’t need dance experience; every woman any age, shape, size or fitness level can belly dance, and we accommodate individuals with a wide range of disabilities. We love it and we think you will too! Click on our Classes or Parties page to learn more. We are a supportive, dynamic group of women, and we enjoy dancing with each other and having fun! Belly dance is fantastic for your core muscles, and you will learn to easily master things you never thought you were capable of. You will be amazed at what your body can do! Belly dance is the epitome of female movement. You are going to feel so gorgeous when you belly dance. Belly dance is a great positive reinforcement. No matter what your age, size or fitness level you will feel more comfortable in your skin when you realize what great stuff you can do with your body. Tribal belly dance features all the sinuous, snaky, sensuous moves of Las Vegas style Belly Dance, with more flair, more power, more strength & more energy. Tribal Belly Dance reclaims belly dance’s ancient traditional roots in Indian, Spanish, Central Asian & African dance. We blend these with an urban feel for an edgy, ethnic flavor. Tribal belly dancers wear a striking, opulent costume derived from many of these influences.